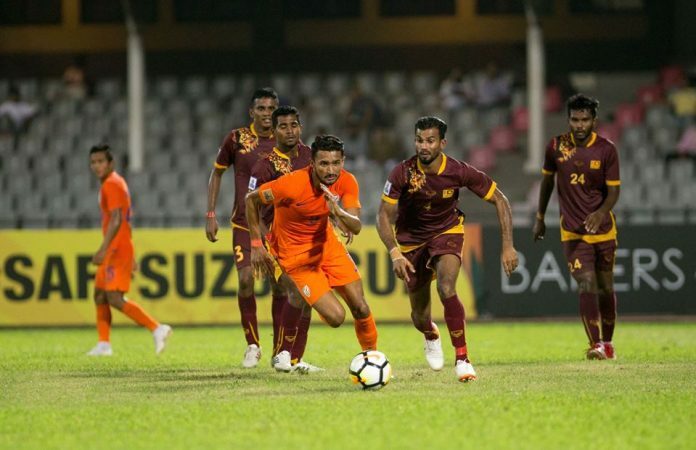 Sri Lanka fell to India 2-0 in their opening group B game of the SAFF Suzuki Cup 2018 at the Bangabandhu National Stadium in Dhaka, Bangladesh. Sri Lanka were forced to come into this match without their star man Zarwan Johar, who suffered an unfortunate knee injury during a training session, the severity of the injury is yet to be known. India kicked off the first half and got a big chance in the first few minutes when the ball was cut back to Sumit Passi inside the box, but Sujan Perera threw himself bravely and made the vital save before the forward could get a proper shot off. The 10th minute saw Sajith Kumara making a reckless sliding tackle and was lucky to have gotten away without any punishment. The resulting freekick was struck straight at goal, but Sujan made a comfortable save, before making another save a few moments later. Sri Lanka’s first major chance of the match came from a freekick which Mohamed Rifnaz struck but was just wide of the target. This was followed by another chance when Kavindu Ishan struck a right footed shot from just outside the box, but that too went wide. 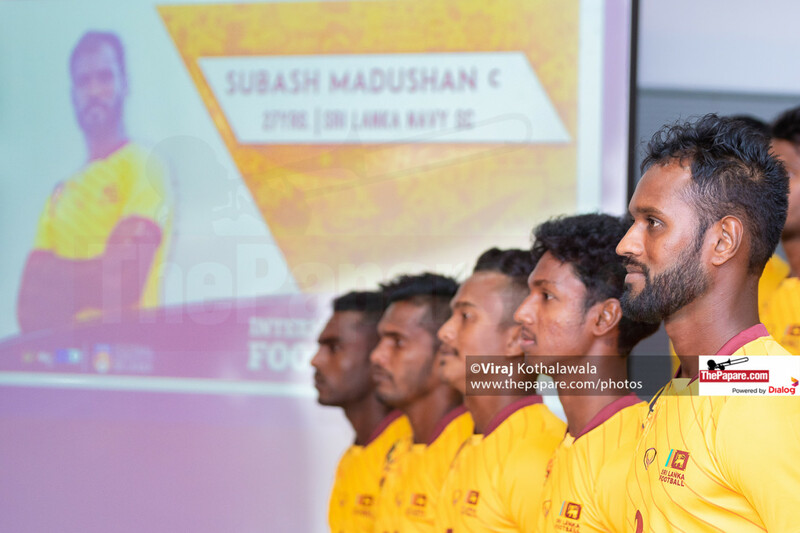 The first goal of the match came when the defense sloppily gave the ball away to Ashique Kuruniyan who punished Sri Lanka, beautifully curling his shot past the on rushing Sujan. Mohammad Sajid Dhot almost doubled India’s lead just minutes after, as Sri Lanka defenders continued to look sloppy. However, it was Sujan once again who pulled off a brilliant save to keep Sri Lanka in the game. 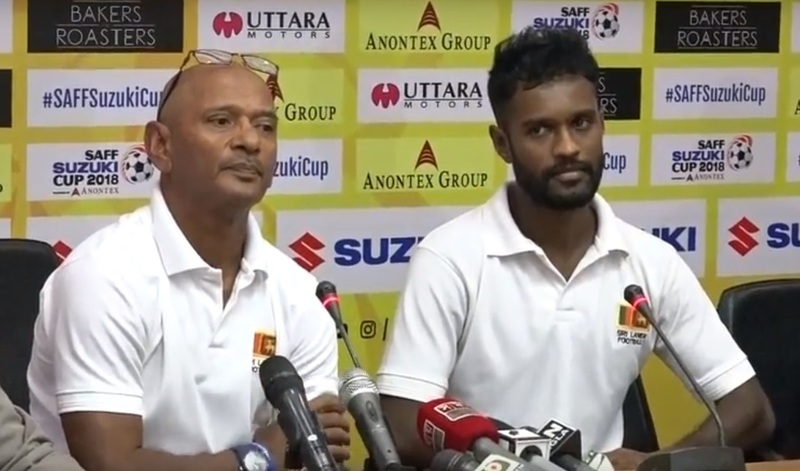 Sri Lanka skipper Subash Madushan came off the field towards the end of the first half with an injury, replaced by Harsha Fernando, and Sujan Perera took the captain’s armband. Lallianzuala Chhangte, who had a number of great chances in the first half, was lucky to get a goal right at the start of the second half. He doubled India’s lead from a stunning goal from a tight angle outside the box that seemed to be an attempted cross, but looped over the goalkeeper and dipped in at the far post. 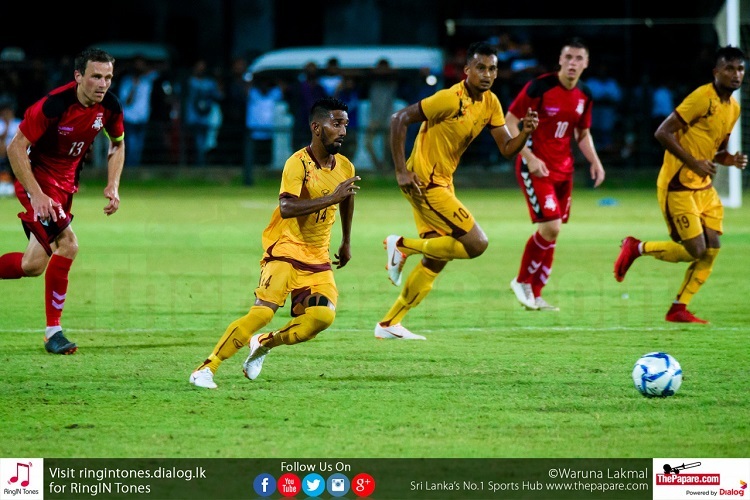 Sri Lanka got a rare chance in the 54th minute when Asikur Rahman got the ball inside the box from Kavindu Ishan, but the bottom corner effort was well saved by keeper Vishal Kaith. India continued their dominance and almost got the third. An over the top through ball found Farukh Choudhary inside the box, but fortunately for the Lions his shot came crashing back off the crossbar. The rebound effort by Manvir Singh was blocked and Sujan grabbed onto the ball gratefully. Sujan again made a vital save off a shot by Coudhary, but he failed to hold onto the ball and the costly error almost gave away another goal. The stand-in skipper made up for that error when he made another brilliant save, this time off a powerful shot by Vint Rai that took a deflection on the way, making it more difficult for the keeper, but Sujan recovered and pushed the ball away for a corner. India took another effort on goal, this time through a header, but again Sujan kept Sri Lanka in the game with a brilliant reflex diving save. Sri Lanka’s defending continued to look sloppy as India kept attacking with most of the action taking place in and around the Sri Lankan box. Asela Madushan looked set to pull one back right at the end when he broke through the defense to get on the end of a Kavindu Ishan through ball, but the assistant had his flag raised for offside.